Hey guys! We're up to day 3 of the Mama Elephant July release highlights and the stamp set today is Lights Out! (All the new stuff is available on the site NOW by the way) This set is chock full of mix and match parts to create any lightbulb your heart desires! 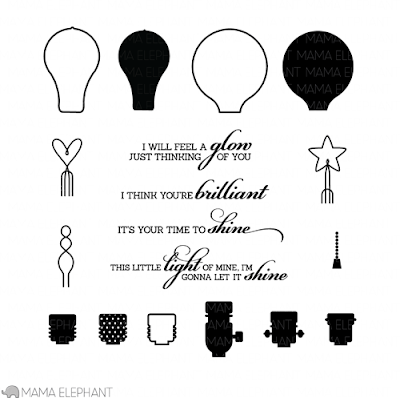 See you tomorrow for the last Mama Elephant stamp highlight this month! What a great card for Ryan, totally impressed he is using his summer so wisely! Loving those glitter stripes too! Such a cool card! Love the rays and how the sentiment curls over the bulb! Great design! I completely and totally LOVE THIS!!!! What an adorable stamp set and so loving your card! WOW! I really LOVE how you played with this set, JJ! Pairing it with Sunny Skies was brilliant, too! I love all the glittery goodness on this card, and of course your amazing design! OK, this couldn't be more perfect! AND, WOW. Ryan is quite the kid! This is so cool! Love the rays, the curved sentiment and the touches of glitter. And whoop whoop to your son for taking on the extra class! Love how you curved the sentiment and added the glitter accents! You must be so proud of your son! So cool JJ! I think you're brilliant! 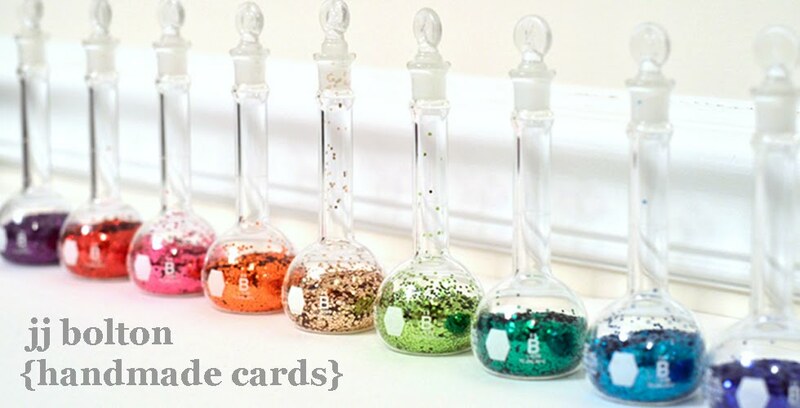 The bold color, clean lines, and glitter are amazing!